Racing Bikes are proud to present the excellent 2015 Viking Elite Gents Road Racing Bike 18 Speed. With so many on offer recently, it is good to have a name you can recognise. The 2015 Viking Elite Gents Road Racing Bike 18 Speed is certainly that and will be a superb purchase. For this price, the 2015 Viking Elite Gents Road Racing Bike 18 Speed is widely respected and is always a regular choice for lots of people. Avocet have provided some excellent touches and this equals good value. Top of thr range for 2013 the Viking Elite is constructed around the Viking 6061 lightweight aluminium top curve race frame and is fitted with lightweight carbon fibre aero forks. It features Shimano Sora 18 speed STI combined brake and grear shifters for effortless gear changing and braking. 36 hole Viking aero rims on quick release hubs and Shimano Sora derailleurs. 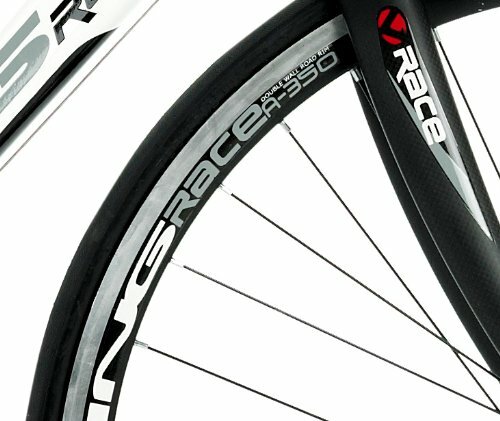 The larger 700c wheels, narrow tyres and higher gearing make it easier to achieve and maintain higher speeds, than a mountain bike or hybrid. The Elite comes equipped with a 18 speed transmission, comprising of 12-25T 9 speed cassette on the rear and an alloy 39/53T double chainset . 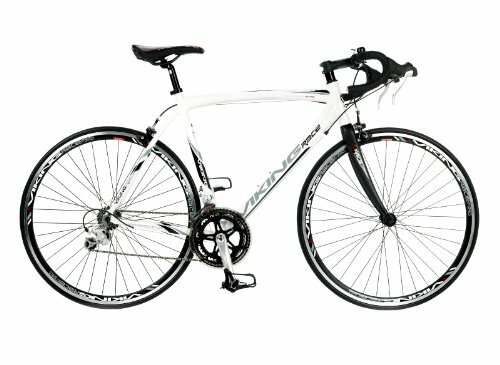 Perfect club bike for race and long distance training. 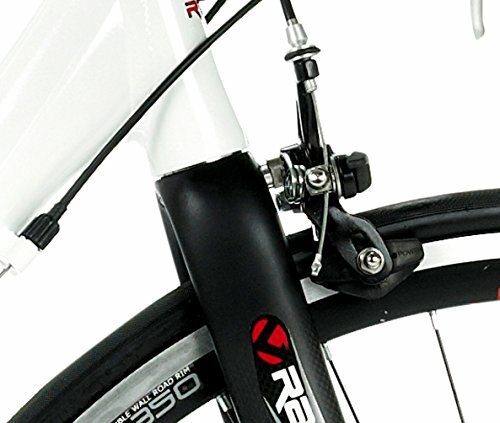 Model Type : Lightweight aluminium road race. Frame Construction :Road geometry Viking top curve. Handcrafted 6061 lightweight aluminium with mudguard clearance. Replaceable dropout. Bottle cage boss. Forks :Carbon fibre with tapered blades and aluminium steerer. Mudguard clearance. Wheel Size :700c. Gear System : 18 speed Sora STI combined brake and gear shifters. Prowheel 39/53T double chainset with 170mm alloy cranks.12-25T Shimano 9 speed cassette. Wheel Specification :Viking A-350 700c alloy double wall 36 hole black rims with CNC side walls. Black spokes. Alloy hubs with quick release axles. Kenda Koncept 700x23 all black road tyres. 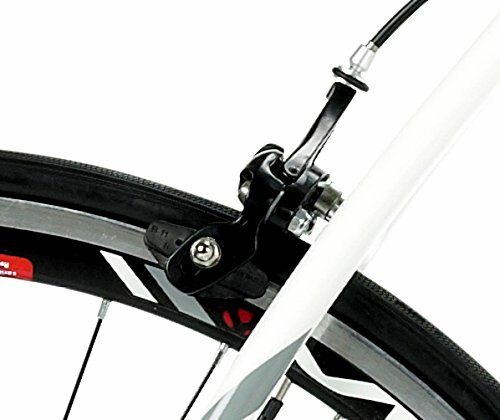 Brakes : Shimano Sora STI brake levers. 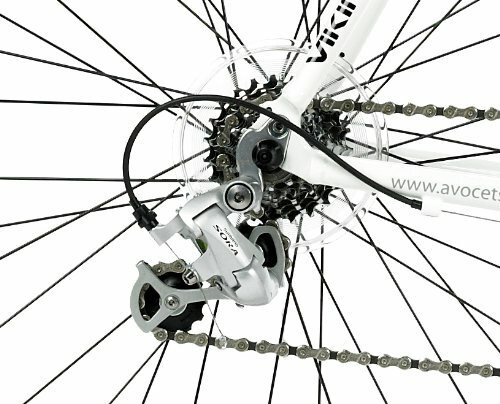 Alloy dual pivot calliper brakes. Handlebar and Stem : Zoom alloy ahead stem and Zoom 44cm race bars with black cork tape. Low stack cartridge headset. Additional Information :Viking VK race saddle, micro adjust alloy seat pin. Sealed cartridge bottom bracket. Steel caged pedals with toe clips and straps. Weight: 10.70 kg. Frame Colour : Bright White. Fork : Carbon. Cycle Condition : New. This bike is shipped 90% assembled in a sealed box. Inflation of tyres, fitting of pedals, stem, handlebars, front wheel, front brake cable, saddle and seatpost are necessary. 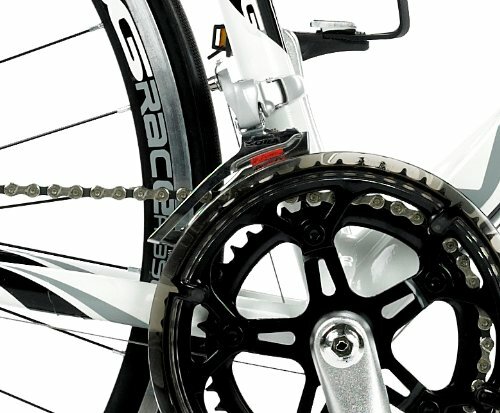 Gears and brakes may require some adjustment prior to riding.